Is it time to prepare your dog for protectio training? Remember for this aim strong grip is a must! To build strong grip and its better position you'll have to conduct lots of persistant and challenging training. And the presented dog bite builder will be very useful for this aim! This dog item is tested and approved by world's leading dog trainers and vets. They all valued the quality of its design and its overal sturdiness. 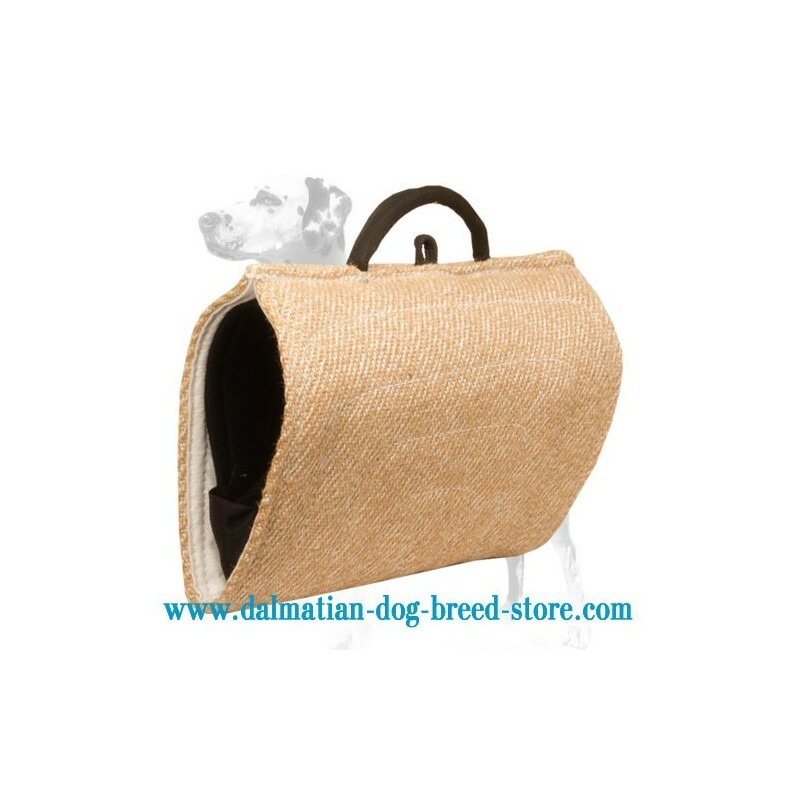 Due to the handles and light weight, this dog bite developer is easy to hold and carry, and thanks to the inside padding, it's very convenient to carry as a bite sleeve. Why are you recommended to buy this comfy Bite Builder? 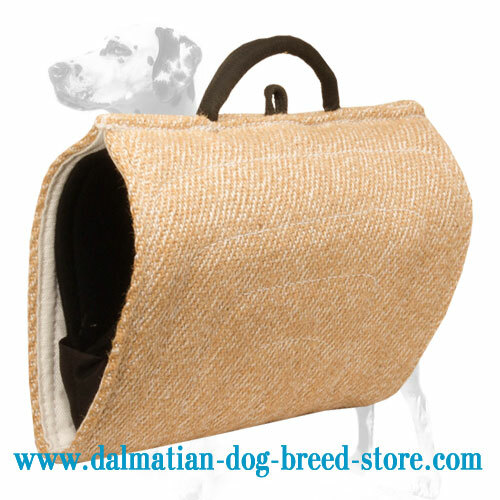 The presented item is made of high-quality, ultra-strong jute. 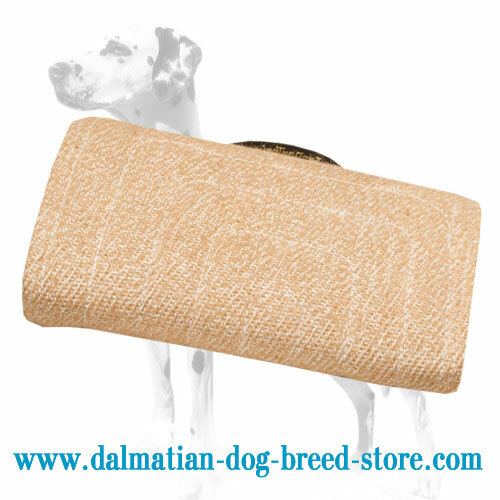 This material ecologically clean and is totally harmless to your dog. Note also, that this jute cover is replaceable, so when it gets old, all you need is just to order another cover, not the builder itself! Isn't it a great way to save money? The bite builder is equipped with a round outside central handle and a hard padded internal one. Due to them you will be able to show your pet where to bite and therefore to make training much more varied. Be sure your active Dalmatian will like this training item!